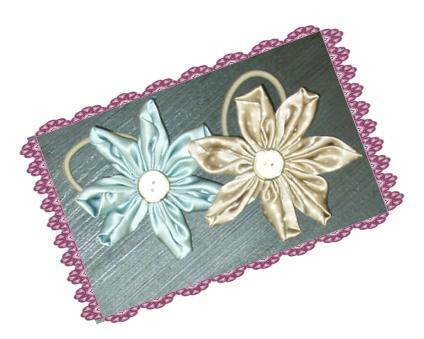 Members of the Real Girls Mailing list, can receive a complimentary 100% silk flower hair tie. - Join via facebook = new members who join the mailing list via the facebook link, will automatically receive the free gift when the name & address information is provided. - Join via website link = new members who join via the link on the website, will receive a separate email, asking for name and address information to complete the gift processing. - Existing members of the Real Girls mailing list will be sent an email about the offer & instructions on how to receive the free gift. This email was sent to the email address used to join the mailing list. This complimentary gift is an origami silk flower hair tie, made from the exact same charmeuse silk as the Peony Collection. This free gift allows you to touch & feel this luxurious fabric before buying on of our elegant items. It is the perfect soft and sensual fabric for intimate apparel. These items are handmade by the Real Girls Customer Service Team. Each flower is unique and not intended to reflect the craftsmanship of our intimate apparel seamstresses. 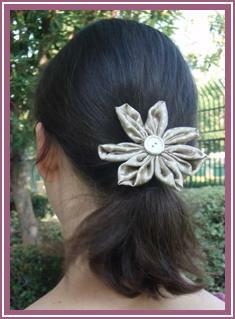 The item is available in ice blue or dotted taupe. Color selection will be random. Items will typically ship within 7 days of receipt of mailing information. Please only one gift per family. Offer available to USA, Canada & Mexixo addresses only. Mailing list membership is open to anyone 18 or older.